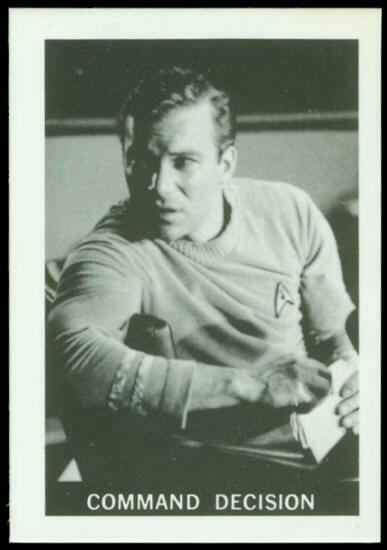 Captain Kirk knows only too well the loneliness of command. 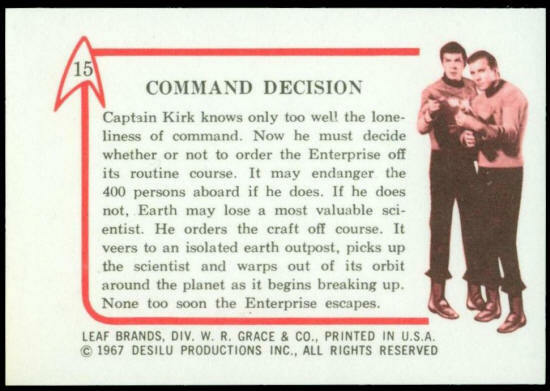 Now he must decide whether or not to order Enterprise off its routine course. It may endanger the 400 persons aboard if he does. If he does not, Earth may lose a most valuable scientist. He orders the craft off course. It veers to an isolated earth outpost, picks up the scientist and warps out of its orbit around the planet as it begins breaking up. None too soon the Enterprise escapes.